Dog ownership laws play an integral role in protecting the community, ensuring animals are cared for, and in keeping more pets in loving homes versus in Philadelphia’s already overflowing shelters. There are many pet ownership laws, at both a city and state level, that people must abide by in order to lawfully keep domesticated animals and avoid penalties and fines. Philadelphia has pet license laws that say that all dogs that are at least four months old must be registered with the city. Those new to Philadelphia have 30 days to register their pet. This is very easy to do through the ACCT Philly website, and only costs $16 each year for an altered dog. Service dogs are free and seniors qualify for a 50% discount. Per Philadelphia’s pet vaccination laws, all dogs must have a rabies vaccination. The Pennsylvania SPCA maintains a list of low-cost vaccine clinics, which makes it easy to keep your pet healthy and you compliant with the pet vaccine laws. The city of Philadelphia has a number of animal ordinances that relate to public safety and animal welfare. Rather than having dog leash laws, the city has general leash laws that apply to all pets other than cats. These dog leash laws require all pets to be on a leash that is no more than six feet long any time it is not on the owner’s property. Even though law enforcement and park rangers do not often enforce the dog leash laws, they can, and there is a fine assessed for anyone who does not follow the guidelines. The dog ownership laws also require all feces to be cleaned up from a yard within 12 hours, and prevents nuisance barking. To report violations of any of Philadelphia’s animal ordinances, use the ACCT Philly complaint form. There are also state-wide dog ownership laws that pertain to dangerous animals. The Department of Agriculture guidelines pertain to dogs with aggressive histories, and are not breed-specific. Owners of dangerous dogs must register their animals and pay a $500 fee every year to main current. There are also specific rules regarding insurance and surety bonds an owner must obtain in order to lawfully keep the animal. 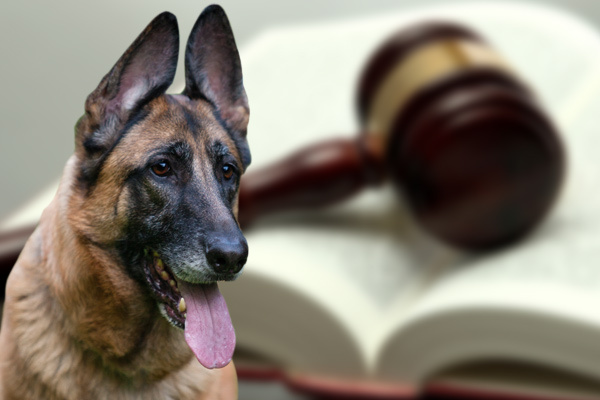 At Philadelphia Dog Bite Lawyer, we specialize in providing information on dog ownership laws, resources for bite victims, and access to attorneys who specialize in helping victims get the support they need to recover from their injuries. If you or your child was attacked by a dog, you may be entitled to compensation that will cover your medical bills, time away from work, legal fees, pain and suffering, and more. Take a moment to review the profiles of the professionals detailed here and begin booking your free consultations today.